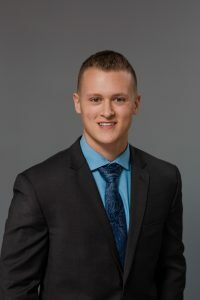 Mitchell comes to RE/MAX of Nanaimo with a background in sales and customer service, and a belief that real estate is about building relationships with people. He is a passionate, driven individual dedicated to creating an excellent customer service experience for each client. Additionally, with his family real estate experience of over 25 years, he provides an intimate knowledge of the industry. Born and raised in Fort McMurray Alberta, he moved to Nanaimo in 2015 in search of a new life without the cold winters. He completed his real estate course through the UBC Sauder School of Business. When he’s not working you can find him on the golf course, at the gym, with family and friends, or with his puppy, Brix.